Welcome back for day 2 of Stamp Highlights! 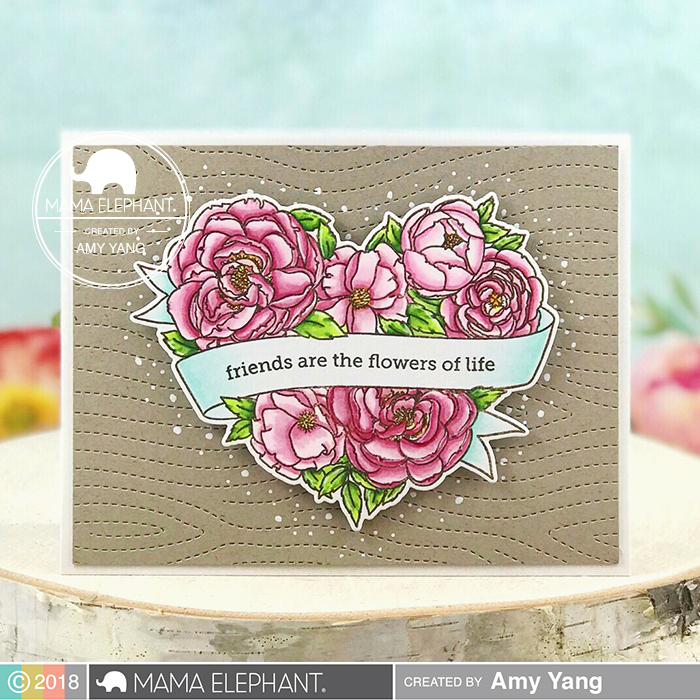 Today our heart is full with the beautiful bouquet from the new Heart In Bloom stamp set! Amy's card is so pretty, she combined the Heart in Bloom with the Woodgrain Cover creative cut. 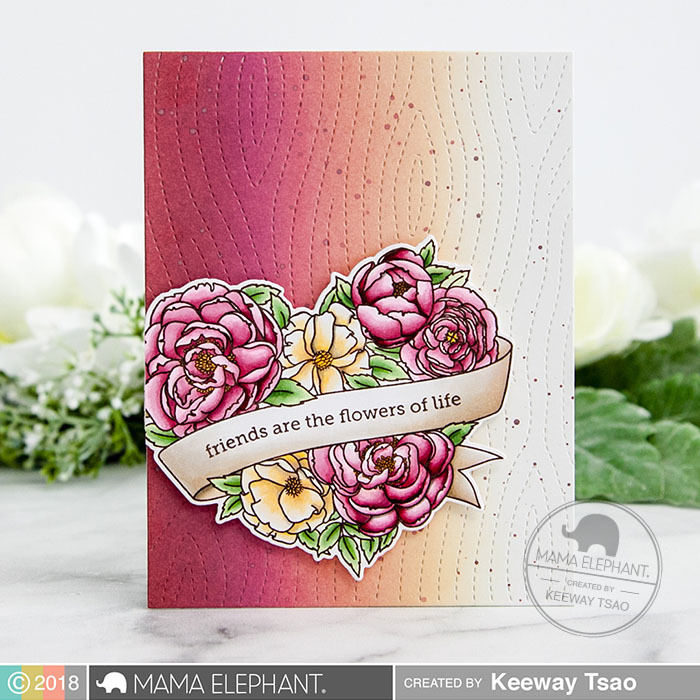 A stunning card by Keeway with her amazing copic coloring on these flowers paired with a lovely ink blended background with the Woodgrain Cover. Thi heat embossed then watercolored her heart in bloom in soft blues and purples for a dreamy finished card. 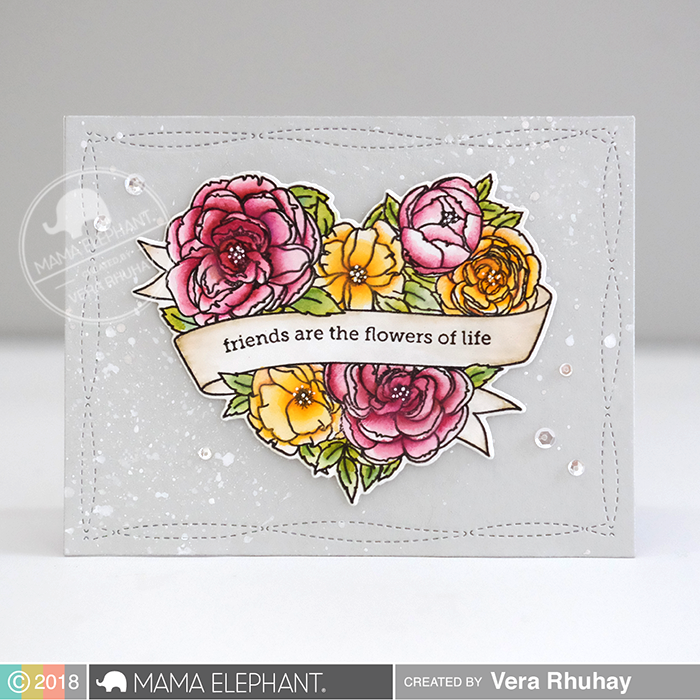 Gorgeous card by Vera, love her beautiful watercolor-ing in this Heart in Bloom set. Everyone's cards are so beautiful. I think this stamp is soooooo Gorgeous!!!! !